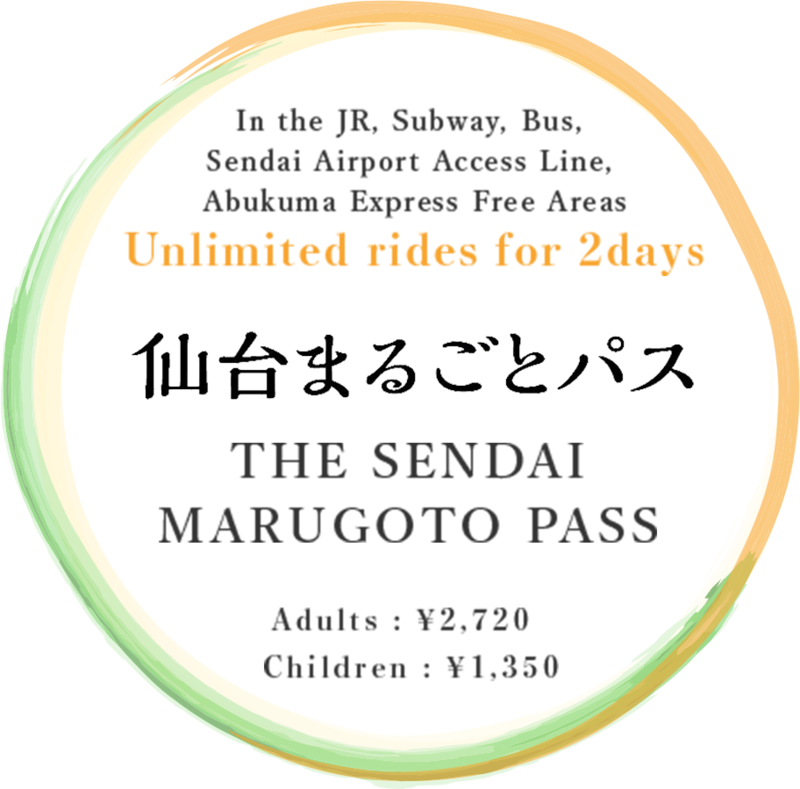 The Sendai Marugoto Pass is a two day, unlimited ride pass for JR lines between Sendai, Matsushima, Matsushima-Kaigan, Yamadera, and Shiroishi Stations; the Sendai Airport Access Line; the Loople Sendai bus; Sendai City buses; all Sendai Subway lines; Miyagi Kotsu bus lines between Sendai and Akiu Otaki; and the Abukuma Express line between Tsukinoki and Abukuma Stations. JR lines/Sendai Airport Access Line/Loople Sendai bus/Sendai City bus and subway lines/and some of the Miyagi Kotsu bus and the Abukuma Express Line. You can go through the automated ticket gates of JR, subway, and Sendai Airport Access Line with the pass. 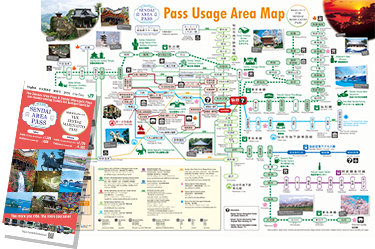 When using buses, present your pass when alighting, and when using the Abukuma Express line, present your pass when boarding and alighting. Note: Ticket machines in Sendai Airport Station may only be used for purchasing passes whose date of use starts on the purchasing date. 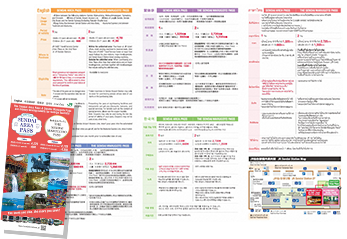 Please purchase at Ticket Offices, Reserved Seat Ticket Vending Machines, Travel Service Centers (View Plaza), in major JR East stations, or from major travel agencies and the ticket machines in Sendai Airport Station. When purchasing at a View Plaza other than that noted above and at major travel agencies, purchase together with travel packages that include visiting the unlimited ride area. ＊Ticket machines in Sendai Airport Station may only be used for purchasing passes whose date of use starts on the purchasing date. The unlimited travel ticket for foreign tourists, Sendai Area Pass, is on sale. This cheap and convenient pass allows you a day of unlimited travel on the Loople Sendai, Sendai City subway lines and buses, and JR trains in the area. You can also receive discounts on entry fees to Zuihoden and Sendai City Museum, among other locations, and other special services.For details, please see the website. *Must possess a non-Japanese passport and a “Temporary Visitor” visa which is valid for 90 days or less, or a comparable requirement.